SB 1, the bill that contains a new evidence-based funding formula for the distribution of the bulk of State funding for schools, is headed to the Governor for consideration. 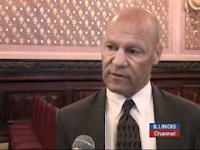 The bill was approved by the Illinois General Assembly in May, but the Senate did not release the bill to be sent to the executive office until Monday afternoon. Since its passage, Governor Bruce Rauner has pledged to veto the bill because of late amendments added by the House of Representatives that places pension payments for Chicago teachers into the formula. The General Assembly convened in Special Session again today. And, again, lawmakers only met for a matter of minutes as there was no legislation to consider. A bipartisan, bicameral team of legislators worked through the weekend and again today in an effort to find common ground on the school funding issue. Without an evidence-based funding formula in place, general aid funds cannot flow to school districts for Fiscal Year 2018 even though appropriations have been made through a budget/revenue package approved last month. The Governor is expected to act quickly to issue his amendatory veto (AV) once the bill arrives on his desk. He has not revealed the nature or scope of the changes he plans to make. With the negotiation team working for the last few days, many were hopeful that an agreement would be reached and the AV would reflect the compromise. However, there has been no word of an agreement, or of significant progress, toward that today. The legislature can accept the Governor’s changes to SB 1 and the bill will become law as revised; or it can override the Governor’s veto and the bill will become law as originally passed. Either one of these motions would require a 3/5 majority vote for approval. If a motion would fail, or if no action was taken, SB 1 in its entirety would be dead. It is unclear that this time when the Governor will act, or when the legislature will reconvene. It could be hours; it could be days; it could be weeks. Click here to read the compilation of Alliance Legislative Reports, which are published by the Illinois School Management Alliance weekly during the legislative session, and otherwise as circumstances dictate. 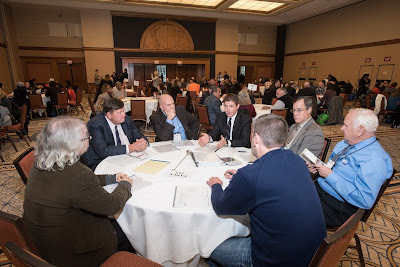 The Illinois Statewide School Management Alliance is a partnership of The Illinois Association of School Boards, the Illinois Association of School Administrators, Illinois Association of School Business Officials and the Illinois Principals Association. The following are editorials, commentaries, and opinions from various sources regarding public education, collected in June and July 2017. The views and opinions of authors expressed below do not necessarily state or reflect those of the Illinois Association of School Boards. 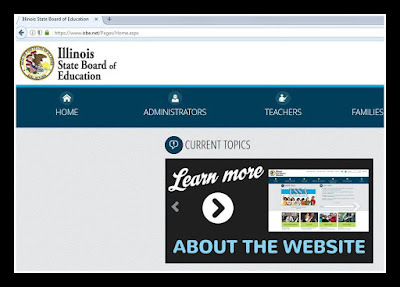 The appearance of external links does not constitute endorsement by the Illinois Association of School Boards of the linked web sites. All links are provided with the intent of informing readership of issues relating to public education in Illinois. State Superintendent Tony Smith has invited school administrators to participate in a back-to-school webinar on Aug. 9 at 1 p.m. Smith will discuss updates related to the Every Student Succeeds Act, school funding issues, and state assessments. He also will allot time for a question-and-answer segment. Click here to register for the webinar. Last week, Governor Bruce Rauner called for a special legislative session to address school funding reform. Lawmakers were called back to the Capitol on Wednesday, and then subsequently met again on Thursday and Friday. Each day both the Senate and House of Representatives convened briefly, allowed a few statements from lawmakers on their respective chamber floors, then adjourned without taking any substantive action. The House is scheduled to return on Monday; the Senate did not set any specific date for return but is anticipated to return on Monday as well. Click here to read the entire Alliance Legislative Report (100-33), which explains the problem, the reasoning, the options, and the impact of the ongoing funding reform issue. IASB has announced that Debra Jacobson has accepted the position of assistant general counsel. 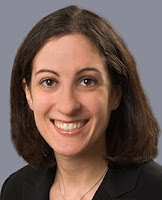 Previously, Jacobson worked as a senior associate with the law firm of Hodges, Loizzi, Eisenhammer, Rodick & Kohn LLP, where she practiced school law. Jacobson started at IASB on July 17. She joins IASB’s Office of Legal Counsel, with General Counsel Kimberly Small and Assistant General Counsel Maryam Brotine to provide legal counsel to the executive director and the Association. Jacobson received her bachelor’s degree from University of Illinois, Urbana-Champaign in 2002 and received her Juris Doctor from Indiana University Mauer School of Law in 2005. She has served with the firm of HLERK since, with a focus on corporate, students, and special education matters. Jacobson counseled and represented school districts with respect to contracts, real estate, tax objections, OMA/FOIA, student residency matters, IEP meetings and due process, and policy decisions. Jacobson has been an active member of the Illinois Council of School Attorneys and other professional legal organizations, presenting for ICSA as recently as last fall at its 2017 annual seminar. As assistant general counsel, Jacobson will focus on creating and maintaining the Policy Reference Education Subscription Service (PRESS) materials used by IASB’s Policy Services Department for its work with boards as she assumes her role of assistant PRESS editor. Other key responsibilities will be developing curricula with legal content and their materials for school board development, along with providing in-person training sessions. Her position will also support the Advocacy/Governmental Relations department and provide support for the continuity and success of the policy services department. "The increasing policy-related trends and anticipating implementation of ESSA-related issues that schools will face prompted a need for additional resources on our legal team,” said IASB Executive Director Roger Eddy. “Also, our members let us know that they value PRESS Policy Services and Debra will be instrumental in maintaining that effort. With the addition of Debra to the existing team of Kimberly and Maryam, IASB will continue to maintain its quality and innovation in the legal services that it provides to IASB members,” Eddy said. Two key members of the IASB staff have announced their retirements. James Russell, associate executive director for Communications and Production Services in the Springfield office, has announced his retirement, effective Dec. 31, 2017. Also retiring at the end of the year, Barbara B. Toney, IASB field services director for the DuPage, Lake, and North Cook divisions, announced her end-of-year retirement last month. She has been a dedicated staff member for 14 years and her service will be missed by school board members and her IASB colleagues alike. 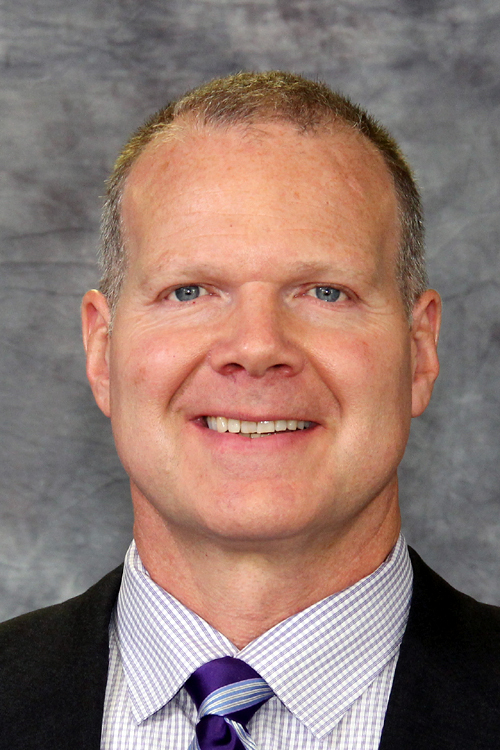 Since joining the Association staff, Toney has worked directly with hundreds of school boards and thousands of school board members through presentations, trainings, and workshops. She offered particular expertise in supporting school board presidents and developing members’ proficiencies in parliamentary procedure. Before she brought her dynamic approach to leadership to the IASB staff, Toney was a school board member at West Chicago SD 33 for 16 years – 14 years as president – and a member of the School Finance Authority in Hazel Crest SD 152.5 for 10 years. Toney joined IASB in 2003 as one of the first consultants in the Targeting Achievement through Governance (TAG) program. After four years with TAG, she became a field services director in the Lake, Kishwaukee, and Northwest Divisions. Kishwaukee and Northwest gave way to DuPage and North Cook in 2010. 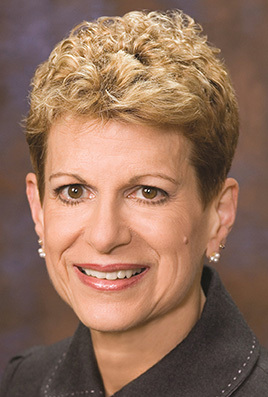 Prior to her work with IASB, Toney was a music teacher and later worked as a public information specialist for the Illinois State Board of Education in a project for children with disabilities. When Toney runs the Chicago Marathon next October, it will be her 15th marathon. Many at IASB see her dedication to her professional craft is similarly unstoppable. She was recognized for her board work by IASB as a Master School Board member and twice was named Outstanding Board Member of the Year by the Illinois Association of School Administrators. She achieved the Burroughs Award in 1994, presented by ISBE to the state’s Outstanding School Board President. In 1991, she received the Those Who Excel Award of Excellence, also from ISBE. The job opening for Toney’s Lombard-based field services director position is posted here. Russell is retiring after a 43-year career in communications and publications, including 17 years at IASB and 26 as a newspaper editor in Illinois and his home state of Ohio. He came to IASB in June 2000, hired by then Deputy Executive Director Jerry Glaub for the new position of director of publications. Russell served under three IASB executive directors: Wayne Sampson, Michael D. Johnson, and Roger Eddy. Named an associate executive director in 2010, Russell is responsible for the Association’s communications and production services department, which includes a staff of 10. The work includes information services/library/bookstore, three websites, databases and directories, social media platforms, book publishing, the Illinois School Boards Journal, the Illinois School Board News Blog (formerly the Newsbulletin), media monitoring and queries, design, typesetting, printing, and mailing operations, conference planning, publications, and presentations. He also chaired the Association’s centennial anniversary observation in 2013. Stepping into Russell’s role on Jan. 1 will be Kara Kienzler, currently director of production services, who has led the Association’s graphic design, typesetting, printing, bindery, and book orders work since 2013. The job opening to fill Kienzler’s role in the Springfield office is posted here. on this Illinois State Board of Education website. the state by Aug. 11 in order to be considered this fall. Applications must be sent to the Illinois State Board of Education to be included in the Fall 2017 Waiver Report, which will be submitted to the state legislature by Oct. 1. For a waiver or modification of administrative rules or a modification of School Code mandates, a school district must hold a public hearing and demonstrate it (1) can meet the rule or School Code’s intent in a “more effective, efficient, or economical manner,” or (2) is necessary to boost student performance. If school leaders are applying for a modification of School Code mandates (such as for attendance days), or a waiver or a modification of administrative rules, there is no submission deadline. But approval must be granted before the modification can be made. The process is the same as applying for a waiver of a School Code mandate. For a waiver of a School Code mandate, a school district must demonstrate that the waiver is necessary to stimulate innovation or improve student performance. Any requests the state board fails to disapprove are deemed granted, and even rejected waiver requests may be appealed to the legislature, which sometimes reverses the agency ruling. By law, waivers cannot be allowed from laws, rules, and regulations regarding special education, township treasurers, or teacher tenure, certification, or seniority, nor can they be granted if they pertain to ESSA requirements. Waivers are no longer needed for legal school holiday requests, and most parent-teacher conference schedules. State law (105 LCS 5/2-3.25g) limits terms of physical education waivers. It provides that an approved physical education waiver or modification may remain in effect for up to two school years and may be renewed no more than two times. IASB led the charge for adoption of the waiver law, and nearly 6,000 waiver requests have been approved since the law went into effect in March 1995, with over 100 new requests approved each year. 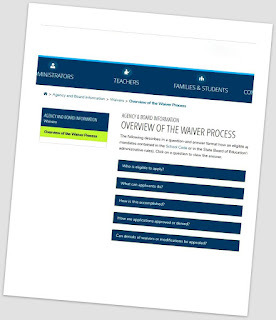 Before beginning the waiver process, ISBE suggests each applicant carefully review requirements outlined in the “Overview for Waiver Process” found here. Application forms and instructions for waivers and modifications are provided by the state board and can be downloaded from the agency website. 'Carousel' panels are each presented three times in an hour-and-a-half slot. School leaders will have the chance to choose from more than 20 different topics in the Carousel of Panels event at the 2017 Joint Annual Conference. The wide assortment of presentations will enable attendees to hear a variety of informative panel discussions in one time slot and location. Naperville, and another at the Hilton Garden Inn, Springfield. and July for school board members elected in April. Workshop participants completed their mandatory board training on Friday, and gained vital information to understand and fulfill their governance role on Saturday. Workshops kicked off on the weekend of June 2-3, and ended July 7-8, at nine locations throughout Illinois. 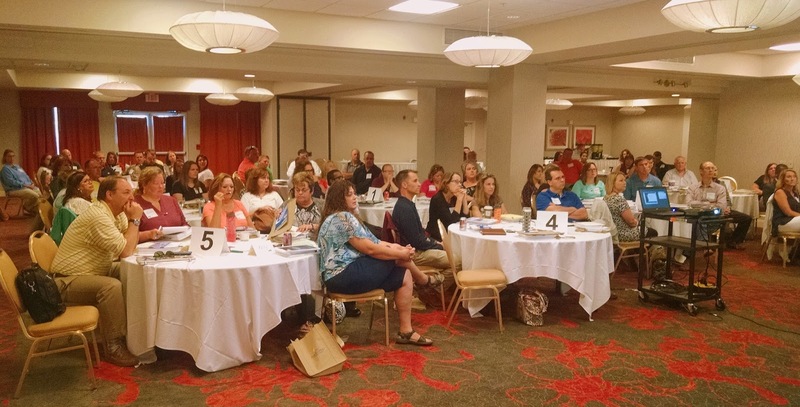 A total of 644 people attended training sessions held in DeKalb, Effingham, Peoria, Glenview, Marion, Collinsville, Tinley Park, Springfield, and Naperville. “The partnership with school attorneys and business officials across the state, in addition to our own expertise in school board governance, allows IASB to be the premier provider for school board member training. With IASB, school board members receive all the mandated topics as well as the important governance training needed for success,” stated Dean Langdon, Associate Executive Director for Board Development. Experienced school board attorneys presented on state-mandated topics. IASB’s new board member training combines mandatory and elective courses in a Friday-Saturday schedule. 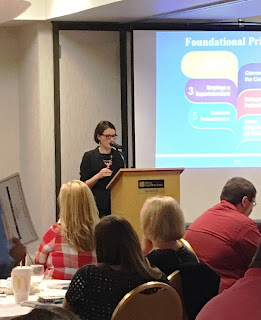 Friday’s training included presentations from a variety of experienced school board attorneys on the state’s mandated training for Professional Development Leadership Training (PDLT) and Performance Evaluation Reform Act (PERA). In addition, IASB staff also presented a session on the mandatory Open Meetings Act (OMA) training. Board members who attended these sessions received certificates that they can present to their board secretaries to show their compliance with the state law. Basics of Governance was covered on Saturday. of school finance. Many board members also stayed for Saturday’s elective course, the Basics of Governance, an overview of school board governance and the first course in IASB’s LeaderShop Academy program. IASB staff explained the roles and responsibilities of school board members, and how they can become part of a high-performing board/superintendent team. 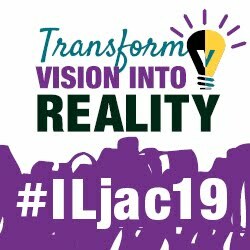 The next opportunity for Professional Development Leadership Training (PDLT/PERA) or the Basics of Governance will be in a Pre-Conference workshop at the Joint Annual Conference, scheduled for Nov. 17-19 in Chicago. Board members can also complete the requirements by taking the PDLT, PERA, or OMA courses at IASB’s Online Learning Center. 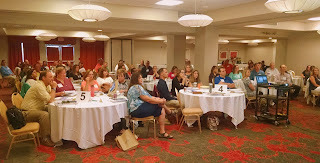 More information about all of IASB’s professional development opportunities is available online. 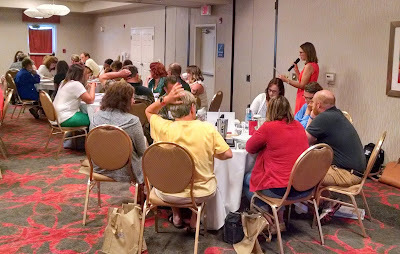 The 2017 NSBA Summer Leadership Seminar for IASB officers and executives and other state’s school board association leaders will be held Aug. 17-20 in Chicago. The program will kick off with a day-long “Strategic Governance Symposium” designed to focus on association management issues from a team perspective. Other highlights include: opportunities for regional and peer-to-peer networking, a look at trends in state legislation, as well as an exploration of collaboration, shared vision, innovation, and leadership development, with examples of each. Attending from IASB will be: Executive Director Roger Eddy, and Deputy Executive Director Ben Schwarm, as well as Association officers, including: President Phil Pritzker, Vice President Joanne Osmond, Immediate Past President Karen Fisher, and Treasurer Tom Neeley. “The great value of this seminar is that it provides sessions and exercises to assist participants in understanding their role as change agents, and motivators,” said IASB’s top executive, Roger Eddy. This is the third time that the seminar has been held in Chicago. The agenda for this year’s event includes a session on sharing state association perspectives on recent legislation, together with strategies to counter or partner in new laws in the interest of member school districts. The Illinois House of Representatives approved motions to override the governor’s vetoes on the three budget bills passed earlier this week. The motion to override SB 9, the bill that would increase income tax rates, passed on a vote of 71-42. The override motion on SB 42, the budget implementation bill (BIMP), passed on a vote of 71-41. The final motion, to override SB 6, the appropriations bill, was successful on a vote of 74-37. 71 votes are necessary to override a veto in the House. The bills become effective immediately. This will be the first time the state has operated under a full budget in over two years. But, obviously, in the end, it was not an agreement or bipartisan compromise between the governor and legislative leaders. The governor worked hard to convince legislators, specifically Republican House members, to vote against the veto overrides. Ultimately, 10 House Republicans voted for the override motions. The House adjourned until the call of the Speaker; the Senate adjourned Tuesday until the call of the President. Lawmakers will likely be back in the Capitol before summer is over to discuss the other outlying issues that have been under discussion. SB 9 will increase the individual income tax rate from 3.75 percent to 4.95 percent and the corporate rate from 5.25 percent to 7 percent. It is expected to generate more than $5 billion in revenue to the state. 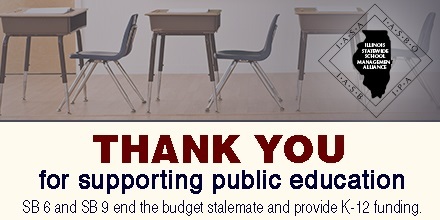 SB 6 appropriates $350 million for a new, evidence-based funding formula for K-12 education, includes $65 million for regular transportation reimbursements to school districts which will set the proration level to over 80 percent, and increases Early Childhood Education funding by $50 million and Bilingual Education funding by $29 million. The other mandated categorical grant line items will be funded at least at Fiscal Year 2017 levels. SB 42 contains the substantive language necessary to implement the budget items. The BIMP bill also includes pension language that would affect school districts. It authorizes state retirement systems, including the Teachers’ Retirement System (TRS), to offer a Tier III defined contribution plan. In such a plan, the employee would contribute 6.2 percent of his/her creditable earnings while the employer would contribute 2 percent. SB 42 also would shift the normal pension costs from the state to the local school district for the amount of salary for any employee whose creditable earnings are higher than the salary of the governor ($180,000).